Silent Sky Project#30 Mai 3th 2009, 12.21 – 12.51 pm, 26 participants, Ikarasak, Greenland. 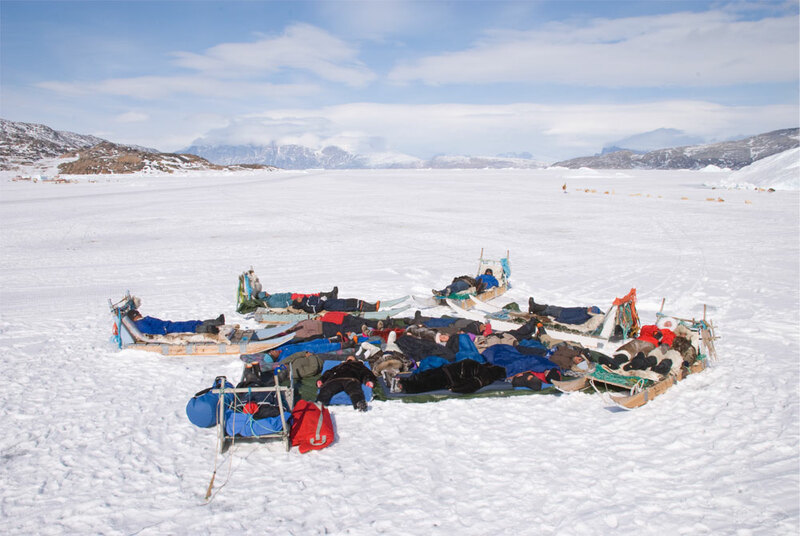 Twenty six people from Ikarasak came together to look at the sky in silence on the sea ice in front of the village. 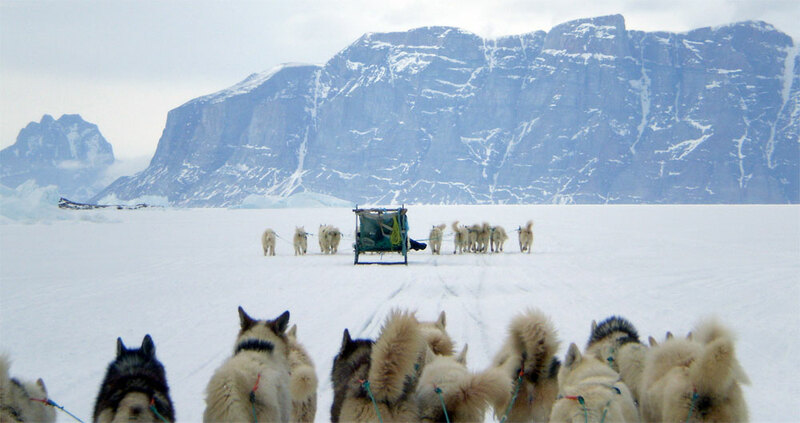 Ikarasak has about 200 inhabitants and can be reached by dogsled or snowmobile. In Greenland there are no roads connecting the different settlements. and organized in collaboration with the Uummannaq Polar Institute – U.P.I. Ikarasak on a little island deep into the fjord. Traveling towards Ikarasak with dogsleds for the Silent Sky Project#. Below the artist. Special thanks to Ole Jorgen Hammeken & Ann Andreasen.